I have sims bustin out, tony hawk pro skater, snake, asphalt2, pandemonium. And 2 emulators, 1 for gameboy and 1 for nes... Its a really really cool phone, it wont get you bored, But i have a problem with this, the radio is not working properly, when i insert a headset it says "please connect headset" when i try to launch the radio feature. the mp3 player seems only working when its in loudspeaker, even if i inserted a working headset. Help, i don't know whats the problem with this. And pls sum1 help me find the game worms for free... thanks! Regard to all pinoys here! I loved this phone. I used it for everything , the games, wap, modem, texting So what if it's a little odd to call off. It still beats the pants of is younger brother, heck I bought my over 3 years ago and it's STILL going. A testiment to good ideas. Yes it is good. Bang for your buck. You can have endless fun for just a small price (compared to other smart phones) IT's cool way better than The Quickly Downgraded (QD). Emulators Double the fun. This is the only phone that I never got bored of. The design is good. Fits my pocket. N-gage games are hell a lot of fun. Some games such as Colin mcrae rally 2005 are really detailed. The Specs pwn all the new cellphones. It was way ahead of its time back in 2003. And it still is . IT can take 1gig mmc card perfectly without slowing down. 4gb mmc cards have been confirmed to work on it as well. With just a barely noticable lag. And if you get bored of ngage games you can have other 3d games which work on S60 like Stunt Car extreme and Victor hall Fighters. There is a huge amount of applications for this baby. Hell It can even be used as a wireless modem and you can control your PC via bluetooth. Tell me how many- if any phones can do that? This 3 year old monster can do more than the latest cellphones available. I've heard that you can connect it to a 5.1 speaker system Via ADA-2 jack. I saw a second hand one for sale in the shop, it cost about US$80. Is is worth buying? 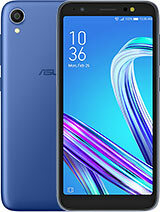 I am looking for a phone with lots of games, do you think this is the best ? i'm having a problem to access contacts in my NGAGE game deck .. It shows a message "System: contact error!" can i recover my contacts back? then, how to do that?? Hello.I want to know if exist camera extension for this phone?Thanx! Hey Guys.. I love this phone.. I bought my ngage classic on the 1st week it was launched in the market. Around 3years ago.. Dropped hundreds o times, fall in water, dried it, & its still working perfect.. About the Hanging problem at NOKIA logo & then restartin, the only soulotion is to give to a show room, they'll charge u some money but, they'll bring it back to normal..
hello dear Art dont worry about this i think ur pc do not have the driver for ur device so insert the cd rom of ngage to get intall the driver on ur pc. Does this n-gage play the games of NOKIA N-GAGE QD ?